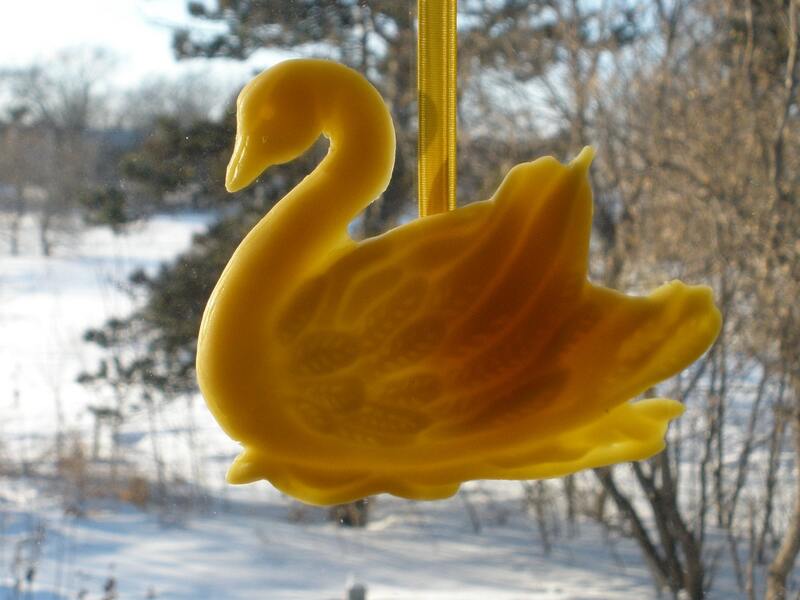 Each month, the Unique Women in Business team does a Blog Hop focused on a different theme. For April, the focus is on celebrating womanhood. Each woman has many roles in her lifetime. At some stage in her life, a woman may only have a couple of roles (perhaps a daughter and niece, for example). in American Sign Language (ASL). At another stage in her life, a woman could have many roles such as: daughter, sister, aunt, niece, cousin, friend, wife or partner, mother, grandmother, worker, volunteer, leader, follower, nurturer, caregiver, peacemaker, teacher, artist, or more. 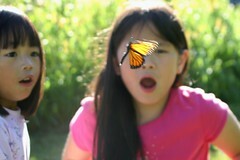 Sophia and Olivia (my daughters). Some of these roles are not of one’s choice – they are made by others…while other ones are clearly personal choices. 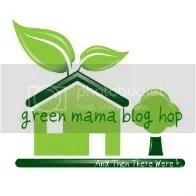 Two of the roles that I have chosen are: stay-at-home mother and homeschool educator. When I was younger, I did not even envision my life as having children in it…much less being a mother who homeschools her two daughters. Yet, being a mother and homeschool teacher have been two of the most challenging and rewarding roles in my life! fly in front of them. for quite a while before flying to the pasture. It was such a memorable and amazing moment for us all! 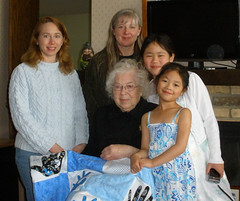 Prior to adopting Sophia in 2000, I was content with running a non-profit organization that I founded that offered art and farm camps to children; a teen mentorship program; and volunteer program for individuals, families, corporate teams, and individuals required to do court-ordered community service. A good percentage of my year was spent writing proposals and seeking funding to do the camp program; and writing curricula for each of the camp weeks. 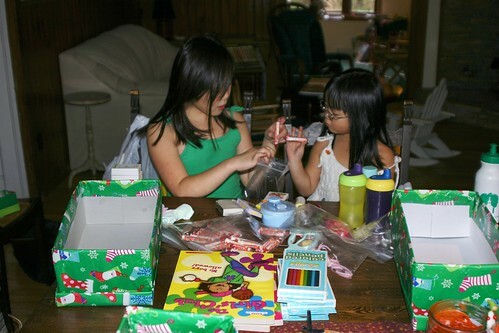 Once Sophia and Olivia were adopted from orphanages in China, and their special needs were diagnosed in the United States (both came with referrals as “healthy” children), life took a very different…and unexpected…turn. With Olivia requiring in-home therapy multiple days per week from an occupational therapist, physical therapist, and special education instructor combined with therapy that I needed to do with her multiple times per day, my decision to end my outside-of-the-home career was necessary. Sophia and Olivia playing in the Body Sack I made. 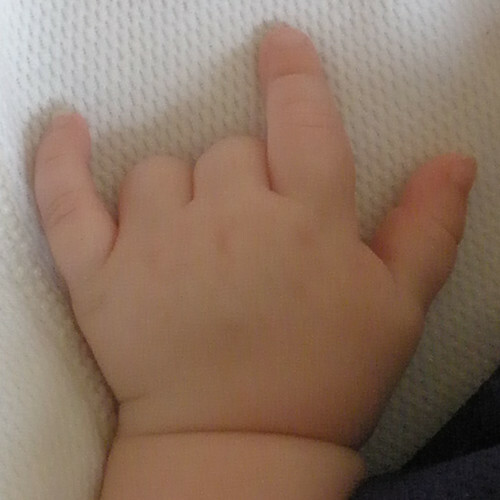 (they were small enough to do that at the time this picture was taken). I have learned a tremendous amount over the past 11 years in terms of special needs; health/medical issues; developmental delays; learning disabilities; educational philosophies and methods; and a variety of subjects that I have taught the girls….just to name a few areas of growth. Womanhood, though, isn’t limited to child rearing. While this is certainly an important role and is central to many women’s lives, there is so much more that we (as women) are called to do. One of the things that I believe celebrates being a woman (and that I try to make a central focus of my life) is is of helping and serving others – whether people are struggling financially, emotionally, or physically. Women can help individuals outside their family or they can choose to focus on providing support and care for their own family or aging parents. that I made for him (he has Alzheimer’s Disease). 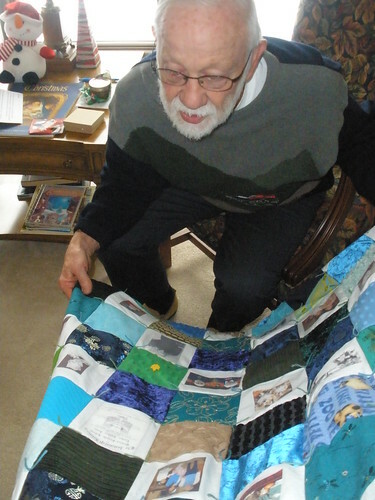 I gave him the quilt for Christmas 2009. Another way in which women can celebrate their gifts is by working with their hands and sharing their creativity with others. I believe that creativity can inspire, encourage, and even provide comfort to others. With only one lifetime given to us, it’s important to use our time wisely to make things that are wholesome, beautiful, nourishing, and inspiring. 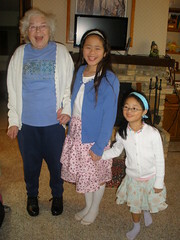 Sophia, and Olivia on my mom’s 80th birthday (April 24, 2010). I made the quilt she’s holding. 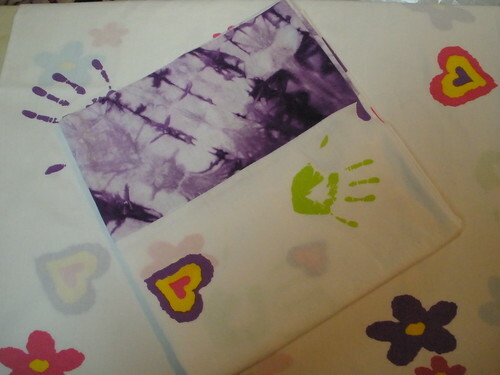 It has the handprints of each family member on white squares. were qualities her family used to describe her. As Anne Frank said, “How wonderful it is that nobody need wait a single moment before starting to improve the world.” It’s worth taking some time to think about how you can make a difference with your gifts and skills. you’ll find one at the end of each of your arms. 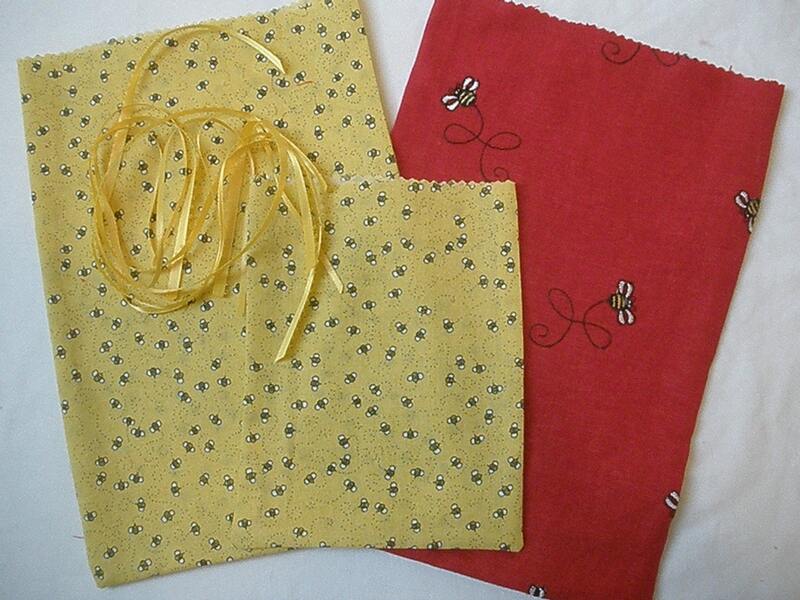 Set of three fabric bags that can hold gifts for a special woman in your life. A set of upcycled notecards made from wallpaper samples. a woman who has made a difference in your life. A hand-embroidered needlebook made with all-natural wool felt. a needlebook is a good way to keep your needles and pins handy. 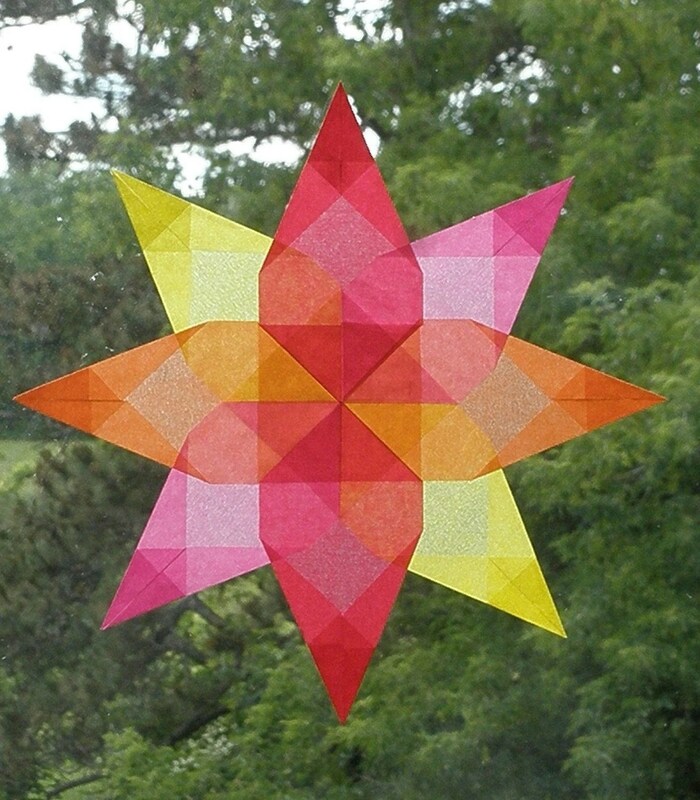 A four-color window star to beautify one’s home. Window stars are lovely gifts for birthdays and Mother’s Day. Over at Show Tell Share, there’s a challenge for February: STASH! The challenge is to “…use materials from your overflowing stash of stuff. …. So go ‘shop the house!’ Create something beautiful out of what you have laying around! “You may have to go buy just a little something, button, zipper, etc. to complete a project, but extra points it you can pull it of without buying anything. 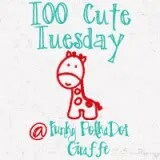 This sounded like a great challenge to participate in – not only am I saving money by not buying new craft supplies, but I’m using what is on hand and creating space. Below are some things I have made so far this month. I had a couple of maps that I didn’t need – one from Brazil and another from Spain. The one from Brazil is written in Portuguese and was purchased there about a decade ago. The other map is from a National Geographic magazine. What I like about the latter map is that there are short explanations about the significance of some of the cities or towns on the map. With the Brazilian map, I made folded flowers that I glued onto 5 inch by 7 inch greeting cards. The matching envelopes have a floral image from the map to tie the greeting card and evelope together. With the map of Spain, I made two type of miniature cards (they are 3 inches x 3 inches). 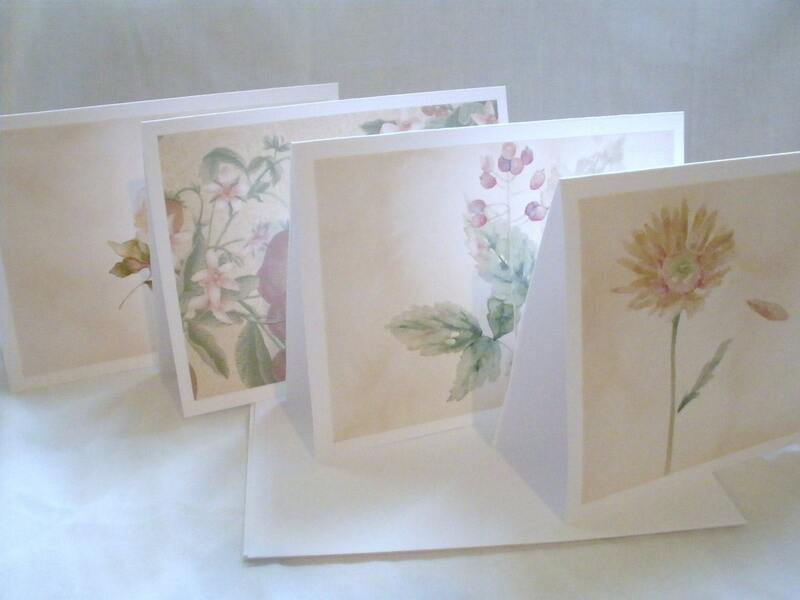 The cards themselves are made from sheets of 12 inch x 12 inch scrapbooking paper. For some of the cards that had an interesting fact, I left the cards plain. With the cards that didn’t have a fact, I placed a hand-stamped “thank you” flower in the center. It is affixed to the card with a 3D double-sided foam piece. I had quite a few vintage children’s books on hands that the girls were done reading. They had cleaned their bookshelves about a month ago and removed all the books they no longer wanted. Before donating them to the local thrift shop, I pulled any vintage books that could be used in crafting. After removing the pages that had pictures, I traced an envelope template onto each page. I cut each one out by hand; and then folded and glued it. I pressed the envelopes under a couple of heavy books to flatten them. With some of the books, the pages are a bit small for standard-size envelopes, so I made gift bags with the pages. Again, I use pages with pictures for the bags. After removing the pages from the books, I pair pages together and then trim them so the edges match. The edges are cut with pinking shears. The edges are sewn on the sewing machine. I have a lot of scrapbooking paper and notebooks that are taking up shelf space. An idea to use both of these were to make letterettes. I received a set of letterettes from someone on Swap-Bot awhile back. I thought it was such a clever idea. She used a heavier decorative paper (almost like a cardstock) for the exterior. Since I didn’t have patterned cardstock on hand, I used a lighter-weight decorative paper. The patterned paper is 12 inches by 12 inches. I cut the paper into two pieces – one that was 5 inches wide and the other was 7 inches wide. The length is 12 inches. Once cut, they pages were folded in half and placed in the folded patterned paper. I sewed on the sewing machine along the folded line in the notebook paper, making sure to reverse sew along each of the edges so the stitching wouldn’t come out. After trimming the thread, the letterettes are ready to use. After writing a letter on the notebook pages, simply seal the letterette with a glue stick or decorative tape, put two labels on the outside – for the return and sending addresses – and it’s ready to be mailed. I had a gift box that had a nice pattern on it, but I am now using fabric bags to wrap gifts. So, instead of recycling it I used my tag punch and paper punch with a tiny hole to create tags. Using a thicker embroidery floss, I cut and attached hangers so they can be used for gifts or for price tags for products. 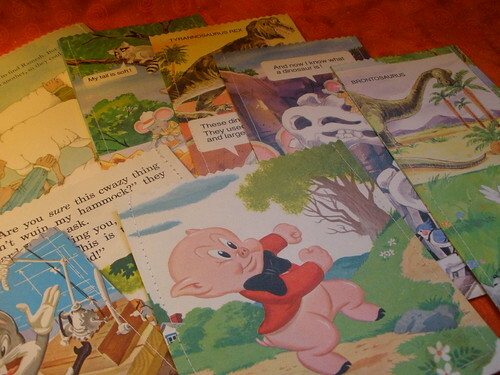 I had a few pages from the vintage children’s books leftover as well as some notebook paper. So, I made some made stationery gluing a sheet of notebook paper on top of a page from the children’s book. I had debated about painting over the image that’s under the notebook paper, but I thought that it was nice to be able to see the design of that page of the children’s book as well as the image on the backside of the stationery. My next focus: using the fabric and felt that I have on hand. I have quite a few patterns that I’ve wanted to try that use these materials. 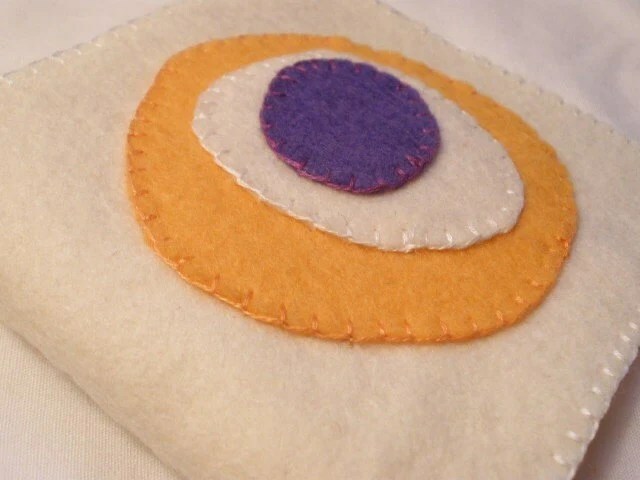 So, during the next couple of weeks I’ll start using sewing or embroidering using felt and fabric. I’ll do another post at the end of the month with what I’ve made. – Volunteer at the homeschool co-op on Mondays throughout the school year. – Hold doors open for people if they are near me when they are entering a building. – Donate items on a regular basis to the second-hand shop so the proceeds from their sales can support programs that help individuals, families, and seniors in need. Project Quinn – a special project serving Native families in Alaska. On an on-going basis, we also donate clothes to the local second-hand store. – Help my dad with his medical and dental appointments; and work with his case manager at the senior day care program to ensure he’s receiving personalized and meaningful care as he deals with Alzheimer’s Disease. Quilt I made for my dad that has photographs that he and I picked out out. Almost every time I see or talk with him, he mentions the quilt. – Donate my hair to Locks of Love. I just donated a ponytail in Fall 2010 and am growing my hair out again. This was the third time I’ve grown and cut my hair, and donated it to Locks of Love. 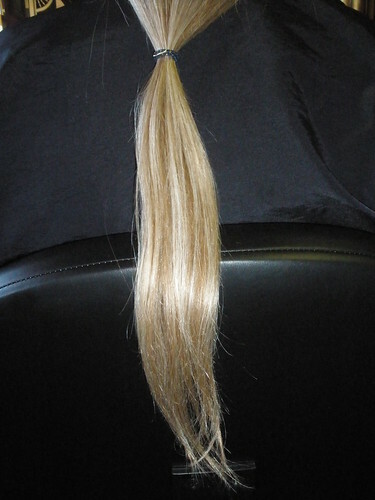 The third ponytail I donated to Locks of Love in Fall 2010. 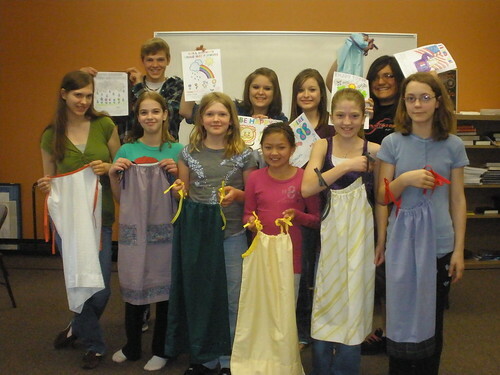 – Share my sewing skills with different non-profit organizations. 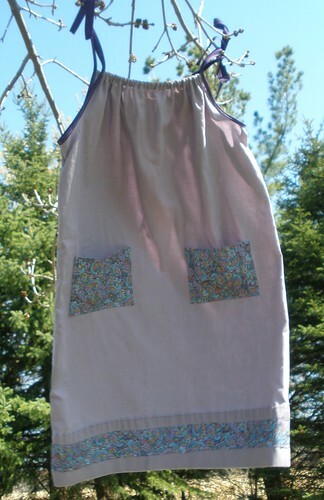 that provides dresses to girls in Africa. These are the things that come to mind immediately. I use to be much more active in the community – especially when I ran a non-profit here at the farm. However, once that ended in 2003, I became more focused on raising Sophia and Olivia (both of whom have special needs); homeschooling them; and working with different agencies that provide therapeutic care to address sensory issues as well as developmental and speech delays. that has a section that serves children who have cancer. Even from 2003-2009, I had many more ways I was giving back to the community through a variety of organizations and interests of mine. This is making me very aware that I have definitely pulled back considerably during 2010 – particularly the latter half of the year. as part of Operation Christmas Child. Many years ago, my doctor observed, “You’re burning the candle at both ends and in the middle.” More recently, I completed a six-week caregiving program through Family Means. The main focus of the program was learning how to take care of oneself when you’re a caregiver. Often times, caregivers give too much of themselves, leaving behind the things they once enjoyed and people with whom they enjoyed spending time. One of the activities that we did during the caregiving program was set one goal each week that we wanted to do that would bring enjoyment to our lives. In doing this, people become stronger and healthier so that they can have the energy and enthusiasm to continue to make a difference in the community. – Continue to look for little ways each day to make at least one person’s life a bit easier. – Send letters or postcards to people. One thing that my dad use to do was clip articles from the paper if he knew the person mentioned in the article. He would send it along with a little note to the person. I like that idea. I also read somewhere that rather than sending a Christmas/holiday newsletter, to send personalized letters to people you’ve received them from. Each week pick one or two people, and share with them how they’ve brought joy to your life. – Incorporate volunteering into the homeschool curriculum. Find organizations that would welcome young volunteers. The Doing Good Together website has some wonderful ideas for ways that families can volunteer without leaving their home as well as ways families can volunteer in the community. helped put out pumpkins that their 4-H club carved. This was taken outside the Memory Care Unit. – Participate in the fall fundraising event sponsored by the Alzheimer’s Association. This year’s event, Walk to End Alzheimer’s, is scheduled for September 24th. More information is HERE. – Go on a mission trip to Tanzania! There’s an opportunity to do so in 2011…and I have wanted to go to Africa for many years now. I’m hoping to raise enough money to be able to go. 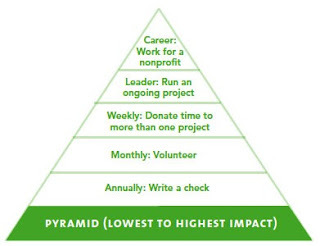 The No Impact Week Experiment had the following pyramid on its website and asked participants to identify where they are on it. At this stage in my life, I’m between the “Weekly” and “Monthly” levels. From 1989-2003, I was at the top of the pyramid – working for various non-profit organizations and/or running a non-profit that I founded. The important thing I need to remind myself is that I’m still on the pyramid. to a group of homeschool students. Giving back and being of service was a value that was deeply instilled in me when I was growing up. As an adult, I can’t imagine living a life any other way. The amount that I give…and how I choose to give…varies with my interests and with factors I cannot control (e.g., my parents’ declining health). What I have realized in reflecting about today’s focus of giving back, is that I have shifted my focus of service from the community to family. Recognizing that caregiving responsibilities will not cease in 2011, my goal is to determine how to gradually incorporate being of more service to the community – local, country, and world. Perhaps one way to do this is follow Tiffani Titus’ idea of doing 52 Weeks of Giving. She was looking for ways that she and her children could do volunteering on a regular basis, and ended up doing small weekly projects. 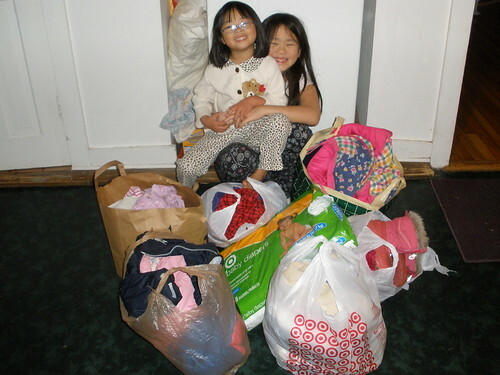 She found a variety of opportunities, and she and her family made a commitment to do one good deed per week. In doing an internet search for “52 Weeks of Giving” I came across a church website that is doing a program with the same name. At the bottom of this LINK there are numerous ideas for projects that can be done throughout the year. It’s worth checking out. If it’s easier to follow a plan that someone else has created, take a look at 52 Weeks of Impact. Each week through 2011, the website will feature a different cause or theme; and offer ideas for action toward making the world a better place. This morning I made several sets of 3 inch by 3 inch cards. Each card is made from cardstock, the patterned paper is scrapbooking paper, the white round piece is hand-punched and then hand-stamped with the words “thank you” and a simple design. The inside of the cards are blank so the person using them can write a personal message. I made 30 cards…4 I’m keeping and the rest are being sold in sets of six in my shop, Harvest Moon by Hand. This was another project that I’ve been wanting to do for some time. “Art Every Day Month” has given me the push to do something creative each day this month. Six days have passed since my last posting about Art Every Day Month which runs from November 1-30th. My goal is to do something creative every day this month – just as the challenge recommends. For me, when I think of doing something creative, it is related to the visual arts – it’s almost as if I need to see a final product to feel like I did something creative. However disappointed she was, he was right. It was a frivolous expense. “Okay…I’ll return it,” she said half-dejectedly and half-relieved. “Well, at least I won’t have to pay for it,” she thought to herself. “Dad, will you at least take a couple of pictures of me in the dress so I can remember it?” she asked. “Thanks,” she said as she smiled. And, maybe that’s all that was important…just hearing her father say words she wanted to hear and to provide that gentle guidance he had done all through her childhood. She knew that he was proud when she listened to him and followed his advice….and she was happy to have a father who helped her make good decisions. In the end, that was what truly mattered. – Cooked dinners using what I had on hand rather than following any recipes. I’m trying to clean out my cupboards and freezer by using ingredients that are available, rather than going out and purchasing more food. Trying to pick 1-2 items from the freezer, an item or two from the refrigerator, and the balance from canned or boxes good in the cupboard was generally what I started with when I made the dinners. Ended up with well-balanced meals that everyone enjoyed which was good. – Began work on another little cross-stitch piece. This one has a couple of lambs and flowers. Nothing complicated. Am about half done, and should finish on Sunday. – Made three more window stars for customers. Got a customer order/request from another customer who wants me to make two 16-point window stars in 6-inch or smaller sizes. Will work on those stars on Sunday. 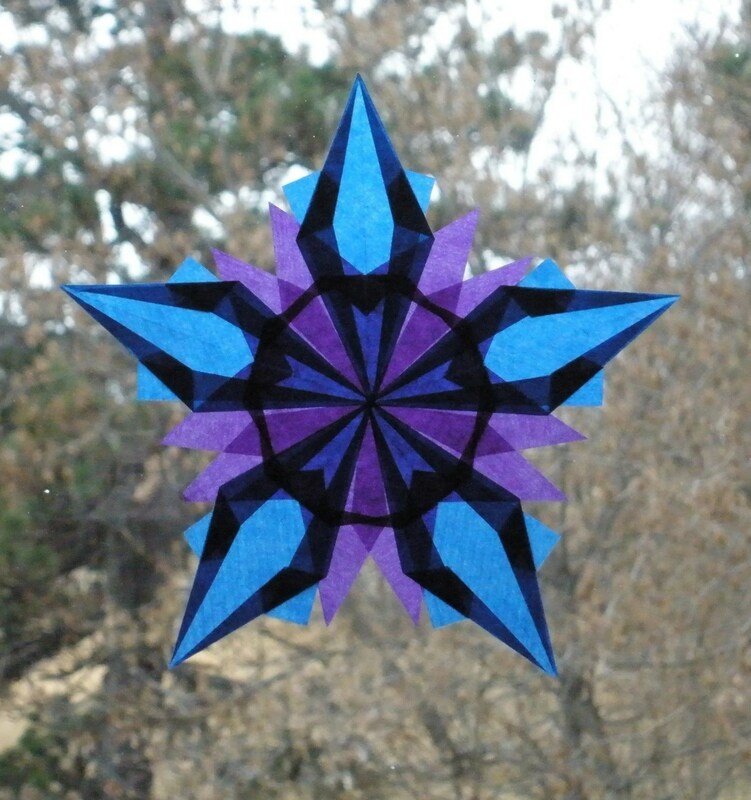 This is one of the three window stars I made today. – Organized the mudroom after it had been gutted and repaired. Only put back the items that were needed. The rest were either donated or thrown away. – Worked with Sophia to repair the fence that a neighbor who lives about a quarter mile away ran into today during the major snow storm. It’s a temporary repair that will hopefully stay in place until a fencing company fixes it. The posts were pushed out of the ground when the car hit the fence. Hopefully the fencing company will be able to permanently fix the fence this week. Half of the double-grated apple tree fell under the weight of the wet-heavy snow today. This was the side that was full of white blossoms in the spring. The other side had pink blossoms.